Harrah’s, the hotel and casino company that operates two casinos for the Eastern Band of the Cherokee Indians in far Western North Carolina, is making a bid for the naming rights to what is now known as the U.S. Cellular Center in Asheville. I broke the news as an unconfirmed report via Twitter on Friday afternoon. WLOS-TV on Friday spoke to an Eastern Band official who confirmed that the tribe was indeed making a bid. Three proposals: Civic center officials have received three proposals from entities interested in naming rights, according to center director Chris Corl. City officials have not identified any of the potential bidders. The timeline: Corl said he plans to take the proposals to City Council officials in April and meet with them in a closed-door session to discuss. City Council will make the final decision, which would likely come in time to have the money from the deal factored into its new 2020 fiscal year operating budget, which council will approve at the end of June. A new contract would take effect Jan. 1, 2020. The first naming rights deal: Asheville City Council entered into the current naming rights deal with the U.S. Cellular Center in 2011. The 7-year deal, with options, gave the city $1.3 million, which it put toward much needed center renovations. It was the first time the city had awarded naming rights to a public facility. A new naming rights deal: Civic Center officials are expecting a new naming rights deal to bring in much more than the $1.3 million it did back in 2011. The center has seen millions of dollars in renovation, as well as big increases in the number of events hosted at the center, the number of tickets sold, and the level of events its hosts. Will city officials just award naming rights to the highest bidder? Not necessarily. 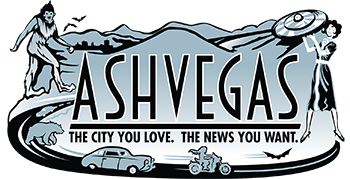 Corey Atkins, chairman of the Asheville Civic Center Commission, said last year that a commission committee had come up with a list of things it wants to see in a new naming rights agreement. The committee wants: a company that is “socially and culturally compatible” with the city; a company that won’t micromanage the details of the deal; a company that can sign on to a longer-term deal, such as a straight 10-year agreement; a company that can assist with improvements to the customer experience at the civic center; and a company that can help leverage its own marketing and advertising relationships to help the venue, according to Atkins. Questions about “compatibility”: Will city officials keep it local, by awarding naming rights to a local company? Will the city place more value on the deal’s bottom line total dollars, or the ideal of a like-minded partnership, the choosing a company that falls more in line with the culture of the city? “It’s definitely a balance,” Atkins said last year. Growth at Harrah’s: Last summer, Harrah’s and Eastern Band officials broke ground on a new $250 million expansion to the Harrah’s Cherokee Casino Resort in Cherokee. The project is expected to add more than 700 hotel rooms, a new parking garage, and 83,000 square feet of meeting space to the complex, which currently has 1,100 hotel rooms, as well as shops, bars and restaurants to complement the slot machines and live-dealer card games. The casino employs about 3,600 people. About four years ago, Harrah’s and the tribe opened Harrah’s Cherokee Valley River Casino & Hotel in Murphy. About a year ago, they opened an entertainment complex addition that features bowling, arcade games and a full-service restaurant. 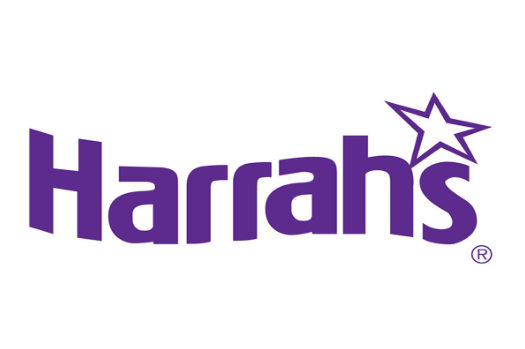 Sports betting: The Harrah’s casinos could start bringing in more business if it adds sports betting to its gambling options. A bill introduced at the N.C. General Assembly last month would allow sports wagering on tribal lands in North Carolina, creating a path to legal betting on professional and college sporting events at the two casinos, the Raleigh News & Observer reports. The bill, Senate Bill 154, amends the language governing casino gaming on tribal lands to include “the placing of wagers on the outcome of professional and collegiate sports contests.” N.C. Sen. Jim Davis, a Republican whose district includes parts of seven western counties, said the Eastern Band requested the addition, the newspaper reported. A central meeting place: The U.S. Cellular Center is home to the Thomas Wolfe Auditorium and the ExploreAsheville.com Arena. It hosts dozens of events each year, from trade shows and concerts to sporting events and corporate meeting events. It has an annual operating budget of about $3 million that is subsidized by taxpayers’ dollars. That subsidy has been dwindling in recent years following renovations, increased usage and the 2012 hiring of Corl, whom city officials credit with much of the center’s turn-around. Colonials to King George: offer the Cherokees alcohol and they will give us everything they have. Braves to Cherokee Chief: offer the Europeans gambling and we will get it all back.